The most disruptive challenge to conventional media-based, brand-building advertising happened during the earliest days of Internet advertising, when agencies and brand marketers failed to define emerging digital platforms like the Internet -- and ultimately, mobile -- as a branding medium. Instead, direct-response marketers embraced the medium because of its real-time immediacy, access to data to track and ability to modify conversions and sales on-the-fly, and pure ROI efficiency. According to some experts, that trend is about to accelerate as conventional brand marketers throw in the towel altogether and begin leveraging digital media to become direct sellers themselves. The reason for the shift, which is already beginning to happen, according to Publicis Groupe Chief Growth Officer Rishad Tobaccowala, isn’t just because conventional brand-building media models aren’t working as well as they used to. It’s because big brands are realizing that the only way to have a relationship with and understand their consumers, is to cut out the middlemen and have a relationship with them directly. “Over the next three to four years, it’s going to happen, because three to four companies own all the data," Tobaccowala said during the opening of CIMM’s recent Cross-Platform Media Measurement Summit in New York City. The “three to four companies” Tobaccowala was referring to were big digital platforms like Google, Facebook, Amazon and Apple, which have leveraged their “walled garden” position to become the intermediaries between brands and their consumers, optimizing both ends for their bottom lines. While this trend has benefited the shareholders of the digital platforms, it has marginalized the role of brand marketers, especially big consumer packaged goods companies that historically used mass media and advertising to build relationships with consumers. Tobaccowala said he’s aware of “major CPG companies” that have a goal of having “25% of their sales direct” in the next year. I’ve been thinking about Tobaccowala’s comments for the past couple of weeks. 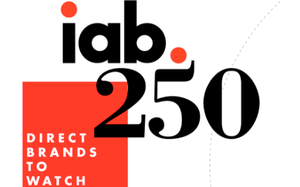 So when the Interactive Advertising Bureau released a new report at its annual Leadership Conference for its members Monday morning listing “250 direct brands worth watching,” I was sensitized and took notice. The report, which is a collaboration with Dun & Bradstreet, is a compilation of 250 companies -- many of which are only a few years old -- that were conceived 100% on the basis of direct-to-consumer digital media access. This means more than just having commerce-based websites, but also leveraging an entire digital ecosystem to promote, be discovered, generate leads, trial, conversion -- and, most important, relationships with consumers. “The list is ample evidence of the tidal change occurring in how brands and customers interact. Congratulations to those who made the cut,” the IAB notes in the report. Interestingly, none of those that made the cut is what would be considered a major CPG brand. “‘Direct Brands’ are gradually supplanting the ‘Indirect Brands’ that have dominated the consumer economy since its origins in the late 1870s,” the IAB asserts in a statement issued with the release of the report. If true, Tobaccowala’s prediction that “indirect brands” will be going increasingly direct, makes sense, so watch for an explosion of consumer commerce options as the “IAB 250” and the Fortune 500 battle for share of consumers’ minds, pocketbooks, data -- and most important of all, relationships. This is already happening, according to a report released last week by Wall Street equities firm UBS. Among other things, the report notes that only 115 of the top 200 brands in 2016 were also in the top 200 in 2006. The point being that 85 of them were new brands that didn’t exist before. The report doesn’t update that for 2017 or predict what it will be in 2018, but a survey of 350 global marketing executives and 500 CFOs in the U.S. by UBS suggests that Tobaccowala is right and they’re already fighting back. While conventional brand-building media continues to expand, the fastest-growing areas of their marketing budgets are CRM (customer relationship management), direct response, and social media management, as well as internal staffing, presumably to bring more of the mastery of those direct relationships in-house (see table). 10 comments about "Excuse Me For Being Direct, But So Will You". Ed Papazian from Media Dynamics Inc, February 12, 2018 at 10:52 a.m. I tend to agree, Joe, as I keep hearing much the same thing in private conversations. One thing, though, is how going direct will be funded. Some may postulate that traditional branding ad spending of the sort we see on TV, radio and magazines as well as digital video venues, will be cut but I'm not so cerftain about that. After all the brands must still convince consumers to want their product categories and themselves. Also, if the brands expand their "direct" sales, they will, no doubt, fund much of this via cutting out the hefty sums they pay the wholesalers and stores. Sure Amazon will take its fees and there is an infastructure to maintain which does not now exist at many companies----but this need not come at the expense of branding campaigns. Just my opinion, of course. Joe Mandese from MediaPost, February 12, 2018 at 11:33 a.m.
Ed, That's a good question. I suspect it will be different for different marketers, and I don't think conventional media-based advertising, or even walled-garden advertising, will ever go away. Brands will still need to use media to create direct relationships with consumers. I also think the budget will need to be thought of more broadly: total enterprise, not just marketing. Peter Rosenwald from Consult Partners, February 12, 2018 at 12:59 p.m. Excuse me for being direct but what we are seeing after aeons of brand marketers making believe that greater and greater spend to persuade consumers of the virtue of their products was the answer to building relationships, they have suddenly 'discovered' that a dialogue with customers might just be better than a monologue. It is much more work intensive than normal brand marketing. Ask any direct marketing agency executive and he/she will bore your ears off with tales of joint brand and DM client presentations when the originally allotted time for the DM part was halved and halved again, even 'regretfully' abandoned while the brand mavens were strutting their stuff. And as Joe points out, the economics are different. That poses difficult challenges for marketers whose mantra is 'reach' and 'frequency' when they have to contemplate models of 'allowable' costs per click, conversion or order. Traditional brand marketers would do well to go off into some quiet corner, imagine a product or service and think about which is a shorter and more efficient journey from product to relationship: building a brand the good ole broadcast way or direct to carefully segmented prospects. Craig Mcdaniel from Sweepstakes Today LLC, February 12, 2018 at 3:13 p.m.
Joe I am in agreement. I will add that there is another side that wants to "throw in the towel" and this is the publishers. Why? The publishers are getting frustrated over the threatment over very low ad quality and revenue. How bad? When Google AdSense I took a 400 percent reduction in revenue for a 2 week period in January. The reminder of the month was much better. In fact November and December was the worst ever in 14 months. I am not alone. This is consistant with many publishers. Worst we are being force to accept low quality ads on our websites. And yes, I have ADS.TXT. My point is, I would love to work directly with advertisers, ad agencies and sweepstakes sponsors. The problem is they have build walls around their empire to the point it is nearly impossible to contact them. So I need Courtney on the Match.com commerical and say - "Here I am!" Instead sweepstakestoday.com! Joe Mandese from MediaPost, February 12, 2018 at 3:23 p.m.
@Craig McDaniel: Good point. I think ads.cert will help with that, but ultimately, I think publishers have under-leveraged the unique leverage they have with consumers and have allowed third-parties to intermediate that. In terms of accepting low quality ads, isn't that also something that should be up to the publisher? We're starting to see signs of publishers -- Fox being a prime example -- that are testing new formats, durations, and creative to see if they can create a better advertising and content experience for consumers. It will be interesting to see how that evolves. John Grono from GAP Research, February 12, 2018 at 5:17 p.m. I can see this as the case for some brands but not for many, many more. As I sit at my desk (I work from home) I have yesterday's grocery shopping list. If each of these brands were to "direct sellers themselves" then grocery shopping would become a nightmare. Mine was a small shop, but there were still 16 brands on the list. Clearly it makes sense for the grocery store to have a brand relationship with the shopper but less so for the brands they retail. In essence 'every day' brands (most of my spend) would be shooting themselves in the foot. Conversely, for 'on occasion' brands it would make a lot of sense. But sadly, the brand websites are generally poor, many focus on harvesting contact details - I had one where I had to provide my name, address and phone number before I could get their number to make a product equiry - and in the main sell at prices higher than you can get from other on-line retailers. Whilever there are on-line discounters 'going direct' will probably be primarily information based rather than transaction based. So I reckon ... focus on the brand and stimulate interest and awareness of it - then let the retailers (online and offline) focus on selling your brand. Joe Mandese from MediaPost, February 12, 2018 at 5:25 p.m.
@John Grono: Groceries are probably a low use case. Although: Amazon.com/Whole Foods raises interesting questions. John Grono from GAP Research, February 12, 2018 at 5:44 p.m.
@Joe. I'm not sure what you mean by "low use" case. First, grocery shopping is one of the more frequent modes of household expenditure - i.e. high frequency. Second, based on Australian Bureau of Statistics data (and we're broadly similar to the US), taxes and housing costs are the highest component of Household Exenditure (and both are largely non-discretionary), followed by Food & Non-Alcoholic Beverages which comprise 16.5% (one-sixth) of Total Good and Services Expenditure. Looks like high frequency and at the top of discretionary expenditure to me. Joe Mandese from MediaPost, February 12, 2018 at 6:33 p.m.
Could be U.S. vs. Australian usage, but groceries usually mean food, often perishable, non-branded or locally branded products, vs. supermarkets, which carry fresh food and packaged goods.